AbCelex Technologies is a biotechnology company focused on developing leading-edge innovations and capabilities to address some of the world’s major food animal health and food safety challenges. The company is committed to the discovery, development and commercialization of innovative solutions to advance the health of food animals and human food safety. AbCelex uses an antibody-based approach to control pathogens in farm animals related to food-borne illnesses. Advanced Extraction Systems Inc. (AESI) designs, engineers and fabricates manual and fully automated supercritical fluid botanical CO2 extraction systems for the medical marijuana and hemp industries in North America. AESI has assembled a skilled management team and world class scientific advisory group with over 60 years of experience in supercritical fluid design and processes. The company has an exclusive manufacturing agreement with Diversified Metal Engineering Ltd. (DME), an innovative engineering and manufacturing company located in Prince Edward Island, Canada, with over 25 years of manufacturing experience to build the systems in their state of the art CRN, ASME and ISO accredited facility. Active AgriScience is an award-winning leading global manufacturer of innovative foliar nutrition products developed to solve grower’s problems and to increase production yields. Our ground-breaking research conducted by network of laboratories combined with independent third-party verification of efficacy allows growers to improve production, quality, and profits while reducing the impact on the environment. Aim.OA is a new, cloud-based electronic decision making tool for managing canine arthritis. This new revolutionary system enables veterinary practices to create effective, individualized multimodal plans for each patient. The new digitised process is based on the Aim-OA system, which has been developed and used in arthritis management for over 15 years by some of the world’s leading authorities in canine arthritis. The system also records interventions and monitors outputs. Animal Ethics Pty. Ltd. is a research and development company specializing in the development of wound care and pain relief products for humans, livestock, and companion animals. Animal Ethics was the first company, globally, to have a topical pain relief product registered for use on farm animals. Their vision is that highly effective, safe, affordable and practical pain relief products are developed and made widely available to prevent pain and minimize suffering associated with surgical husbandry procedures and traumatic wounds in humans, livestock and companion animals. Atlantic AgriTech Inc. specializes in the provision of contract research services for crop development in the areas of varietal evaluation, crop nutrition, crop protection, environmental impacts of crop production and agronomy. Our facilities include Good Laboratory Practice (GLP) compliant office and field/laboratory space, as well as a complete line of farm and research equipment suitable for conducting a wide range of agricultural and environmental research studies. Atlantic AgriTech manages a wide range of crop management consulting projects, as well as environmental projects to evaluate and mitigate the effects of agricultural practices on soil, water, air and plant and animal life, including pollinators. The company has international clients in China, Australia, UK and US. Avivagen is a life-sciences company that is developing and commercializing products to replace antibiotics in livestock feeds to optimize the health and growth of animals by supporting the animal’s own health defences. Avivagen’s unique, propriety technology, known as OxC-beta™ (fully oxidized beta-carotene) is based on Avivagen’s discovery of the propensity of the micronutrient B-carotene to naturally undergo oxidation to generate polymeric oxidation products that possess a unique combination of immunological health benefits. Multiple trials have been completed with OxC-beta Livestock as a non-antibiotic feed additive that successfully optimizes health and productivity in swine and poultry. For Companion Animals, Avivagen has created two branded lines of OxC-beta Technology products, Vivamune Vital Health Chews and Oximunol Chewable Tablets, intended to improve or maintain quality of life in these animals. Avivagen is headquartered in The Partnership Facility at the NRC, 100 Sussex Drive in Ottawa, Ontario, and maintains a biology operation in The Partnership Facility at the NRC in Charlottetown, PEI. BioSpa (Quann) Cosmeceuticals Inc. focuses on the development, manu­facture and marketing of a premium professorial skincare line: Quannessence Skincare. Full commercialization began in 2013 and BioSpa has grown steadily with a strong presence throughout the Maritimes and Newfoundland. The Quannessence brand is gaining traction in other parts of Canada and is becoming recognized as a leading brand in its sector. The Quannessence line was developed to address a gap in the provision of effective treatments of problem­atic skin conditions for estheticians and professional skincare providers. Products are available for sale to the public only through professionals. FIGR operates within a new and highly regulated system under the terms of the Access to Cannabis for Medicinal Purposes Regulations (ACMPR). As a horticultural business, it also stands on the shoulders of generations of farming Jewells and the culture of Prince Edward Island. We know the origin, quality and potency of medical marijuana is important. To that end, CIG makes this promise: our horticultural experience, pristine environment, and stringent quality controls will result in a consistent and high quality product at a reasonable price. All delivered with exceptional Prince Edward Island customer service! Chef Low Cal Foods Inc. is responsible for patent-pending, all-natural, GMO-free, partial flour substitutes that eliminate approximately 70% of the calories and carbohydrates in any flour-based food product. The ingredient is available in gluten-containing and gluten-free variates and is approved by both Health Canada and US FDA. Chef Low Cal Foods Inc. provides both calorie and carbohydrate reduction, while preserving the organoleptic qualities of any baked goods or pastas. Chef Low Cal is currently being marketed to large bakeries and suppliers to Canadian grocery chains. Last year in the U.S, over 700,000 people got infections from visiting a hospital. We threw out $109B worth of rotten food and beverages, and over 200,000 bottles of cosmetics spoiled. These are just a few statistics on the worldwide war against bad microorganisms. Each year people get sick, food rots on shelves and any product susceptible to spoilage undoubtedly spoils. Each industry faces the common problem of microbes, but with different microorganisms to combat. However, the traditional “one size fits all” antimicrobial agents are becoming less and less effective and industries are looking for personalized antimicrobial solutions. At the same time, industries are under intense pressure from the public to use less chemical sounding preservatives in products. Something about drinking sodium benzoate just does not sound attractive! Chinova Bioworks is developing this solution, using a unique biopolymer called Chitosan. The key benefit of this platform technology is that we can personalize a highly effective, safe, label-friendly and natural antimicrobial to address the needs of each industry’s individual microbial issues. Starting in the beverage space, we hope to make advancements that will allow us to grow into the higher-end markets like cosmetics, medical and pharmaceutical industries. Dalriada Therapeutics Inc. is a start-up focusing on the development of novel small molecules for a range of therapeutic and diagnostic applications. With broad expertise in drug discovery and chemosensor technologies, the company’s efforts are currently centred on the preclinical development of a novel class (DT1) of small molecule inhibitors in cancers of the blood and brain as well as proliferative skin pathologies. Dalriada is engaged in the development of small molecule-based diagnostic technologies for Alzheimer’s disease and infections. In addition to these R&D activities, Dalriada offers services in medicinal chemistry and custom synthesis. Delivra Corp. manufactures and sells a growing line of natural topical creams with the proprietary transdermal delivery system platform under the LivRelief™ brand, for conditions such as joint and muscle pain, nerve pain, varicose veins, wound healing, and under the LivSport™ brand for sports performance. LivRelief™ products are available in pharmacies, grocery chains, and independent health food stores across Canada, and in the United States on-line. In parallel, Delivra also has a mandate to license its patent-pending proprietary transdermal delivery technology platform to pharmaceutical companies globally, for the transdermal delivery of repurposing Rx molecules to treat a broad range of conditions, along with licensing its over-the-counter products globally. Founded in 2015, Electronic Vet (eVET) is the first cloud based comprehensive vaccination record . eVet was developed as an equine wellness platform that helps horse owners, show managers, trainers, and veterinarians improve compliance, efficiency, safety, and security. With roots in successful human health care electronic delivery systems, eVET aims to deliver time tested technology to the veterinary industry, focusing on biosecurity, filling gaps in care, and improving transparency within animal health communication. EnCap BioTech is a bioscience startup dedicated to replacing petroleum-based synthetic polymers (plastics) with innovative green inspired products. They are developing a green, environment friendly, bio-based platform to replace plastics from several applications. Their aim is to develop a range of products with bioactive formulations to replace plastics in food packaging, nutraceutical, cosmetics, and personal care products. Fitorex is an innovative, R&D-orientated company devoted to the development and production of YASO®, specially sprouted soybean, as well as value-added functional food products based on YASO®. Fitorex has pioneered the world’s first high-yield, industrial-scaled sprouting process of soybean with unique patented composition. Its premium crackers, crisps, snacks and frozen products are not only nutritious, natural, and fit into a sustainable and healthier future, but also the highest quality ones on the market. GenCanBio is a virtual drug development company. Its core executive team has demonstrated expertise in strategic management, drug development and commercialization, R&D project management, intellectual property and financial control. These internal capabilities allow the company to manage contractual collaboration and outsourcing activities with some of the world’s leading government, educational and private research institutions. Island Water Technologies (IWT) is a wastewater technology company specializing in modular, solar powered treatment solutions. IWT provides robust, low-complexity self-powered wastewater treatment for remote work camps, military operations, disaster relief and mining industries. Kondor Pharma is developing safe and effective plant derived drugs and nutraceuticals for neurodegenerative disorders. The company’s lead product, InflawellTM is a proprietary plant extract for treatment of aging-associated neurodegeneration, with general application for memory and brain health. InflawellTM has shown efficacy in pilot clinical trials for Alzheimer’s and Parkinson’s diseases. Kondor Pharma’s office and R&D laboratory is located in Mississauga, Ontario. Located in Western Prince Edward Island, PEI Juice Works Ltd is a producer of 100% pure wild blueberry juice products employing a unique- proprietary process which insures long shelf stability with no additives or preservatives. Their products are completely free of artificial flavors and sweeteners and are not made from concentrate. Larkin Brothers is a Prince Edward Island company who raises turkeys and chickens in New Glasow, PEI. In addition to whole turkeys and chickens, they offer a number of value-added products including sausages, meatballs, and burgers. Larkin Brothers have researched and tested several flavours with Canada’s Smartest Kitchen in the recipe creation process. Liv9 Nutrition – Founded by pharmacists, Liv9 Nutrition is a New Brunswick-based life sciences company that designs, manufactures, and distributes high quality nutraceuticals that are backed by scientific research. With a focus on purity, quality, and service, Liv9 grew out of a desire to help consumers lead healthy lifestyles through targeted supplementation with unique formulations and processes. Luminade Marketing Inc. is a Vancouver company, that has developed and plans to manufacture and distribute a unique ready to drink (RTD) beauty focussed functional beverage. This all-natural fruit juice based beverage contains contains ingredients such as Vitamin C, Vitamin B complex, antioxidants, and carefully chosen fruit juice that work together to help revitalize, illuminate and nourish the skin and improve overall wellness. The key ingredient that differentiates Luminade from other RTD beverages in the North American market is the addition of hydrolyzed marine collagen. Collagen is the most abundant protein in our bodies and is found in our muscles, bones, skin and tendons. It is one of the biggest building blocks in the human body and plays an essential role in maintaining skin tone, suppleness and elasticity. MDG Performance Supplements Inc. is a Prince Edward Island-based company focused on the development and sale of cognitive enhancers. MDG’s flagship product, Cervello, is a coffee enhancer designed to help Canada’s favourite beverage deliver 21st Century performance. The neuro-nutrients in Cervello compliment caffeine to prolong the energy boost and eliminate the crash, while improving focus, attention, and mental clarity. The science of healthy and clean plant extracts is the core of Mazza Innovation. Our PhytoClean™ Method—the earth-friendly way to extract bioactives from plants using only water—produces clean ingredients. We specialize in extracting bioactive compounds including polyphenols, alkaloids, glycosides, and specialty carbohydrates—ideal ingredients for functional foods, dietary supplements, and beauty products. Our commitment to environmental integrity is driven by founder Dr. Giuseppe (Joe) Mazza’s vision to produce the cleanest, greenest ingredients that benefit our health while preserving a healthy planet. Mycodev Group was formed in 2013 to commercialize new technology in fungal fermentation and the production of highly technical chitosan. The founders saw that with chitosan having so many incredible applications in the life sciences industry, it was an opportunity to enable these technologies with a consistent, high purity chitosan from fungal fermentation. Chitosan from waste biomass (crustacean, edible mushroom) has inherent issues that limit its acceptability and has left many applications undeveloped. The company collaborates with a number of universities and research institutions across Canada, the USA, and Europe, to continue our development and enable a world of opportunities with chitosan. Nature’s Crops International (NCI) is a manufacturer of specialty oils for dietary supplements, food and personal care products. All oils produced by NCI are from the highest quality crops, grown by growers who follow strict management protocols for sustainability and identity preservation. NCI ensures the crops produced are grown, processed, packaged, and delivered in a safe, sustainable, traceable, and cost-competitive manner – from soil to oil…naturally. Nautilus Biosciences Canada Inc. is a technology-rich marine biotechnology company based in Charlottetown, Prince Edward Island, Canada. Founded in 2007 by Professor Russell Kerr, focuses on using marine microbial biodiversity to discover novel actives and materials. Croda International Plc, who creates, makes and sells speciality chemicals for some of the biggest, most successful brands in the world, recently acquired Nautilus – having worked closely together for the past six years developing specific applications for skin care and hair care, as well as crop care – Croda intends to establish Nautilus as a Croda Centre of Innovation for Marine Biotechnology at Nautilus’ existing base at the University of Prince Edward Island. Nautilus has exclusive global access to the Marine Microbial Library which is based at the University of Prince Edward Island. Next Remedies has a patented platform technology developed by the National Research Council of Canada (NRC). This technology offers cutting edge solubilization capability that enhances the functionality of drugs, nutrients and supplements. The science turns fat-soluble ingredients to water soluble and reduces the size of nutrients to nano particulates, increasing efficacy/bio-availability/absorption and allowing more effective delivery formats. Neurodyn Life Sciences is a Canadian biotechnology company focused on identifying, validating and developing natural compounds into both prescription drugs and natural products for the early treatment of neurological diseases. Through its offices in Charlottetown, Halifax, and Germany, Neurodyn Life Sciences manages prescription drug and natural health product commercialization as well as subsidiaries in fine chemicals & medicinal chemistry and animal modeling of neurological disease. NeuroQuest Inc. is a drug development company seeking new approaches to modulation of nerve transmission and promising clinical applications particularly for neuropathic pain. NeuroQuest focuses on a first-in-class small molecule drug discovery platform that is based on bioactives discovered in plant extracts showing efficacy for neuropathic pain. NeuroQuest has entered into a joint venture with Concept2clinic.com, a highly qualified pharmaceutical development team with expertise and lab facilities located in Toronto, Canada. Expertise exists in all aspects of drug development, from lead chemistry development to clinical research, regulatory affairs and commercialization. NeuroQuest is pursuing a dual-track of market entry for nerve pain products, pursuing a natural health product or OTC drug product in Canada, USA and Asia, and a prescription-status product for the US and other markets. These products promise to be fast-acting, safe, effective, non-numbing and non-burning, unlike current market offerings. Noblegen Inc. is an advanced bioproducts manufacturer dedicated to developing cost-effective, naturally-derived biomaterials and biochemicals for a wide range of uses. We utilize a unique platform combining proven industrial methods with our proprietary “directed expression” technique to commercially cultivate microorganisms, allowing for development of cost-effective dietary, health and biochemical products. These products are inspired by a simple vision – to make a meaningful difference by delivering biological solutions for some of the world’s greatest problems, creating an avenue for a healthier, more balanced relationship between people and planet. Nutracelle is an innovative Nutrition Supplement company, focused on creating the highest quality natural protein and nutritional supplements to help women achieve their health and weight loss goals. The company is currently working on expanding their product line with the development of innovative, convenient, natural health products, including energy bars and baking mixes for the health and wellness market in North America. RWL Holdings – operating as PEI Potato Solutions (PPS) – is a company that offers services to local (potato) producers including: cleaning, drying, grading and load optimization. More specifically, the company provides a full potato wash service to farmers of PEI before the potatoes are sold to Cavendish Farms. The service is provided so that farmers can achieve a higher grade when selling their product to Cavendish Farms. This service includes washing, sorting, separating rot, as well as metal and foreign material removal. Performance Phenomics is an Ontario based company who has developed a digital platform that characterizes an athlete’s performance potential and risk of injury. Performance Phenomics uses proprietary MRI protocols to provide quantitative risk assessment. PFERA aims to provide horse owners with a birth prediction tool they can use on their pregnant mares. The system we have developed estimates when the pregnant horse will give birth to the foal based on the mare’s milk chemistry. Using a specially designed hardware and software tools, the foaling attendant will be able to decide what the best course of action is for the pregnant mare. This device can be used on any number of milk samples, and on any number of mares. Once the test is done a birth prediction is displayed on the attendant’s smartphone. Prosper Animal Health is an animal health company that is creating and commercializing a portfolio of breakthrough vaccines for multiple livestock and companion animal species. Prosper Animal Health controls an internationally patented breakthrough technology that will improve the effectiveness, diversity, safety, and duration of vaccines. Retrievium is a data-management and discovery platform for the chemical sciences. It allows users to share, search, and discover high-accuracy quantum data on chemical systems. Unlike traditional data management or molecular modeling tools, the platform harnesses a network of scholars, data, and machine-learning technology that allow users to discover new molecular structures for lead identification, and apply or develop high-accuracy predictive models quickly and easily. RPS Biologiques Inc. develops novel products that address critical issues in aquatic, animal and human health sectors using innovative approaches and techniques. The company seeks to establish the commercial viability of advanced research projects and bring products to market through direct sales to customers, licensing fees and royalties from marketing partners. SeaDNA’s mission is to provide quality seal oil products. Offered in capsule and liquid form, SeaDNA Omega-3 Seal Oil is one of the only supplements rich in natural DPA – an essential fatty acid that enhances the health benefits of DHA and EPA. DPA is found in mother’s milk and is a critical health building block. Our products are all harvested in the cold pristine waters of the Atlantic Ocean surrounding the coasts of the Magdalen Islands and Newfoundland. Seaford Pharmaceuticals is dedicated to developing and marketing specialty healthcare solutions to Canadians, and others abroad. Founded in 1991 by the Seales family, Seaford Pharmaceuticals is a proudly Canadian company that works closely with healthcare professionals to develop quality healthcare products across a variety of therapeutic areas. Sinnex Ltd was established in 1999 with the aim to carry out research, development, manufacture and marketing of biologically active materials – including drugs and products containing natural ingredients – which are based on the novel diverse therapeutic utilization of vegetal and animal origin active agents, and serve the prevention as the most effective way of medication. SomaDetect is a New Brunswick company that has developed an in-line sensor that measures every critical indicator of dairy quality (fat, protein, somatic cell counts, progesterone, and antibiotics) from every cow at every milking. It uses no consumables (no chemicals, no cartridges, no lost milk), is extremely quick (results in seconds, not minutes), and accurate. Sona Nanotech is a gold nanorod platform technology company. They have developed the first line of biocompatible gold nanorods (GNRs) that are synthesized without the use of the conventionally used cytotoxic surfactant cetyltrimethylammonium bromide, commonly called CTAB. Sona is working with collaboration partners across Canada, the US and Europe to complete research data results and product prototyping, where their Sona Gemini™ and Omni™ brand gold nanorod products will be used as the enabling nanoparticle platform technology for projects ranging from cancer tumour destruction in humans and animals to targeted drug delivery, and new diagnostic test product platforms for infectious disease and women’s health. 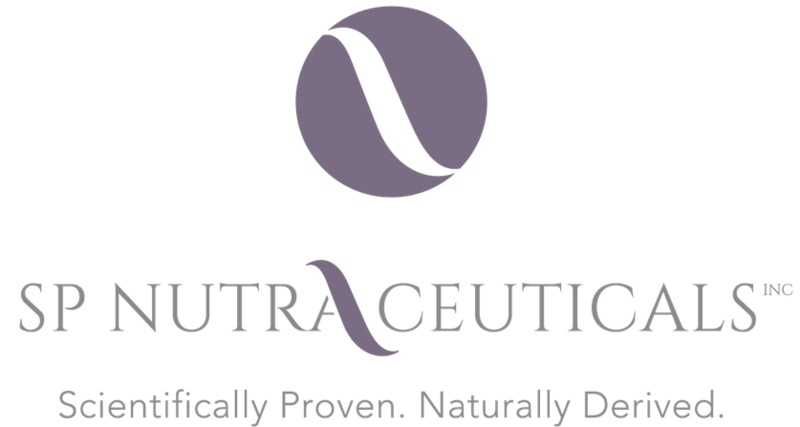 SP Nutraceuticals Inc. was founded in 2016 to commercialize novel natural health products which are scientifically proven and seek to improve the health and lives of Canadians. The company’s headoffice is located in Oakville, Ontario. SP Nutraceuticals Inc. was founded by Dr. Paul Spagnuolo, a professor at the University of Guelph, department of Food Science. The Spagnuolo Lab is dedicated to NHP and drug discovery. Dr. Spagnuolo has a PhD in Nutraceutical Immunology, completed his fellowship in drug discovery at Princess Margaret Hospital, and has for the past 5 years been a Principal Investigator in the therapeutic applications of nutraceuticals. Taylor Pharmaceuticals is a Prince Edward Island company that has created a hybrid device, combining the features of a Neti pot and a high flow nasal irrigation device. The device also serves as a delivery method for several nasal medications/formulations, including capsaicin, for the treatment of allergic rhinitis. Tecrea, founded in 2012 as a spinout from the Royal Veterinary College, University of London, is passionate about creative cell and tissue delivery technology and through that passion, has discovered a novel way of delivering molecules into cells. Tecrea’s mission is to provide world leading cell and tissue delivery technology for research and drug development applications. This novel approach gives them the potential to improve people’s health in a huge range of areas, in a wide variety of diseases in a safe and efficient way. Tieös Pharmaceuticals is a privately-held pre-clinical stage biotech company, focused on developing novel small molecule inhibitors which target the unique metabolic characteristics of cancer cells. Tieös’ lead compounds in development target multiple metabolic pathways simultaneously, while utilizing intelligent drug design elements to minimize drug resistance and collateral damage to healthy and vital cells. Founded in 2016, Tieös has offices in Ontario and New Brunswick, Canada. zpharm is the maker of Cravv® for smoking cessation. zpharm develops natural health products with evidence of safety and efficacy in areas of unmet need. A privately held company headquartered in Waterloo, Ontario, zpharm was founded in 2015 by a highly experienced pharmacist who wanted to bring better treatment options to patients across Canada.